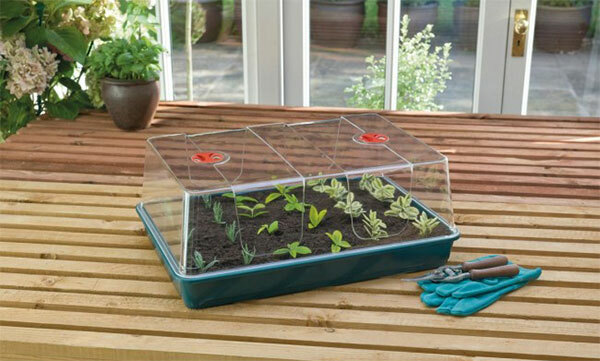 Our largest unheated propagator and to our knowledge the largest injection moulded propagator on the UK market. The base tray does not feature drainage holes, given that most users opt to fill the unit with smaller trays or pots or multi cell inserts. The unit is easily large enough to accommodate the 'Grodan 77' and 'Jiffy 60' cell inserts which are so popular with keen growers.